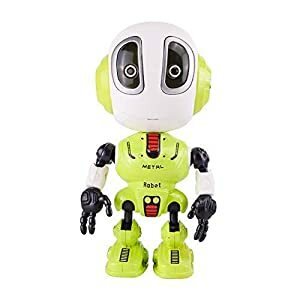 BUILD YOUR OWN ROBOT: These adorable wooden toy robots will be sure to charm your preschoolers with their adorable retro look. 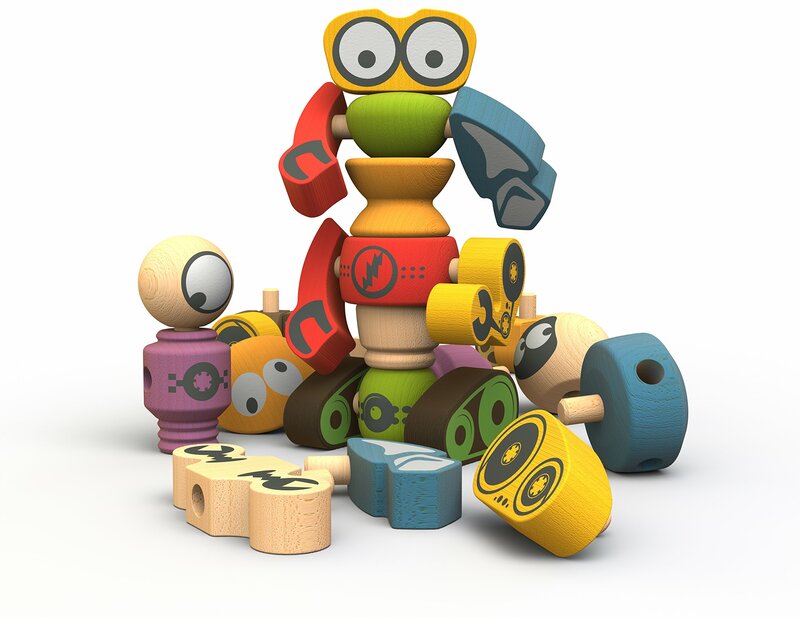 The pieces easily come apart and go back together again so your child can create a robot from their imagination! 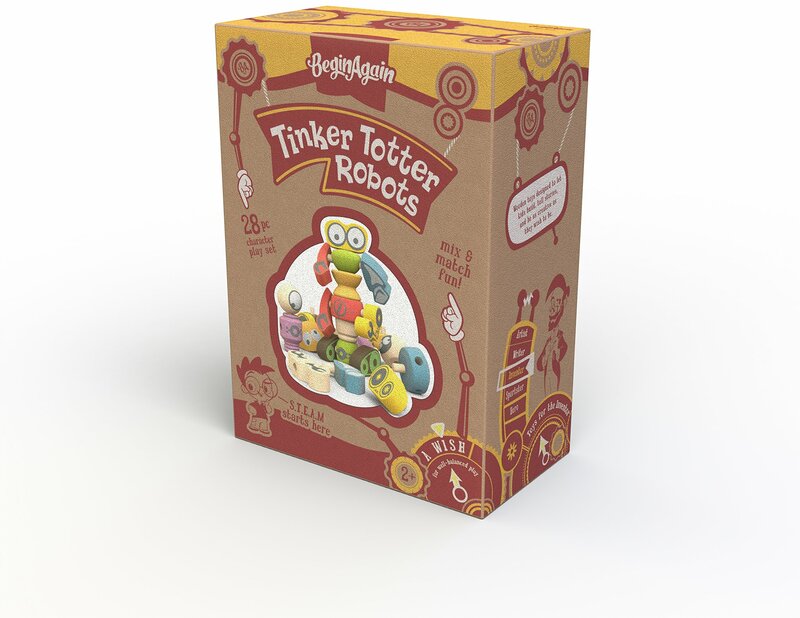 COMES WITH EVERYTHING YOU NEED: The Tinker Totter Robot Character Set includes everything your child needs to creative play. 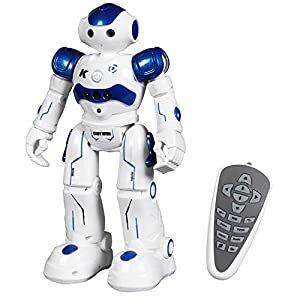 Featuring 28 pieces that are all universal and can be interchanged to make four smaller robots or one giant one! This 28-piece playset will please space-crazy kids and their eco-minded parents. 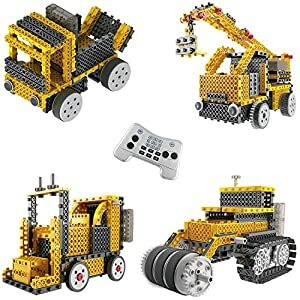 Everyone loves to stack and connect the chunky components to create colorful robots of all shapes and sizes. 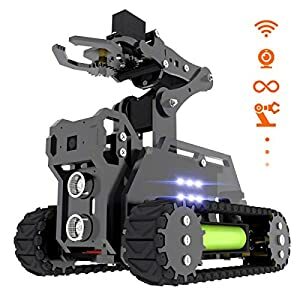 Whether you are building four little robots to help defend your intergalactic base, or you build them into one super-bot, there is endless fun and combinations to be had! All of the pieces are made from rubberwood, with child-safe stains, and super easy to clean. The playset helps to develop creative thinking and problem-solving skills in your little ones. Intended for ages 3 and up. 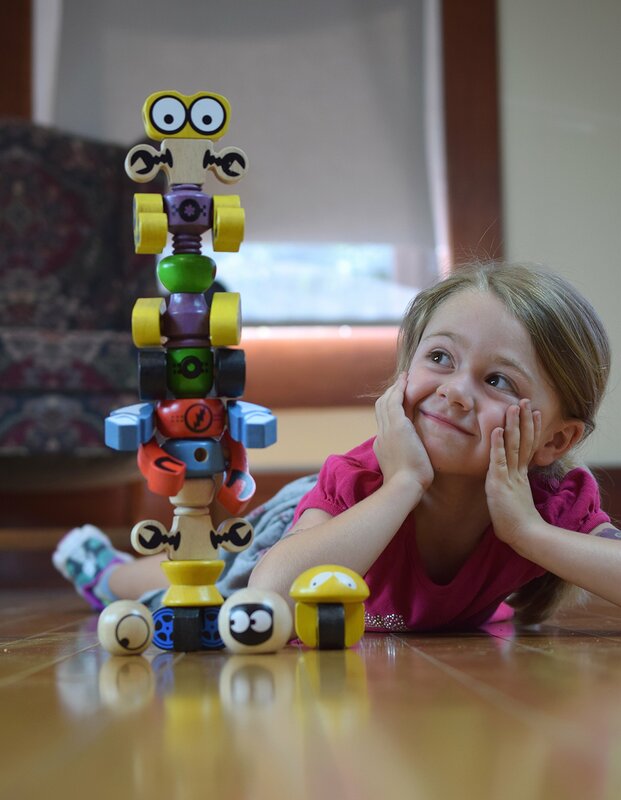 Based in Fort Collins, Colorado, BeginAgain draws inspiration for our fantastic, wacky and educational toys, games and puzzles from our big and beautiful world! 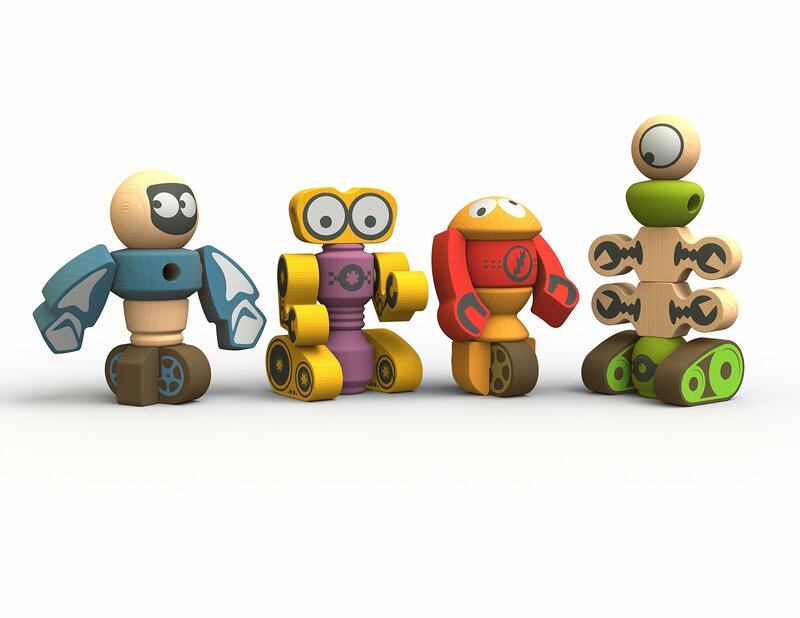 We design toys that satisfy all styles of children’s playing, with no batteries required. Using sustainably harvested materials, BeginAgain works to benefit our kids and our environment. MAKES A PERFECT GIFT: Whether you’ve got a little one in your life, or need an excellent birthday or baby shower gift, BeginAgain is here to help! With toys that help promote fine motor skills and puzzles that help improve cognitive functions, BeginAgain has something for every child no matter the age or the occasion!